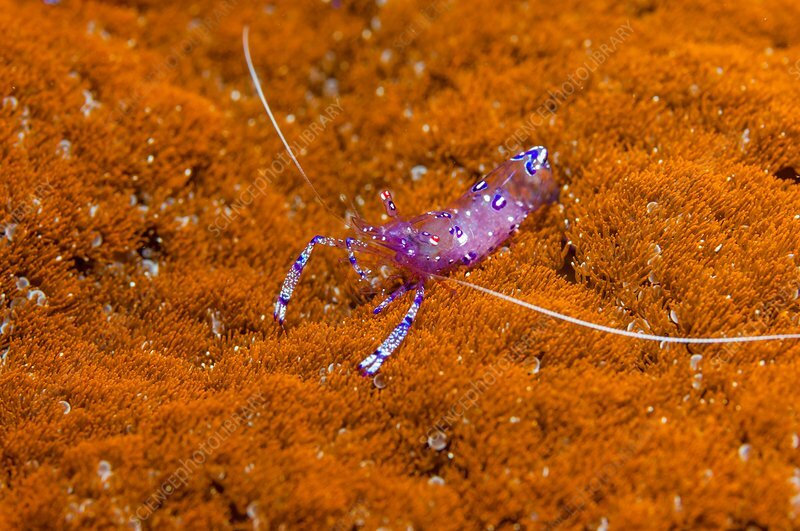 Cleaner shrimp (Ancylomenes holthuisi). Cleaner shrimp clean parasites from other animals. In return, they gain protection from predators. This species is widespread throughout the tropical waters of the Indo-West Pacific. Photographed in the Lembeh Strait, North Sulawesi, Indonesia.